The iconic Ambassador is one car that needs no introduction as it has been running on Indian streets for many decades now. Though Hindustan Motors discontinued the Ambassador in 2014 due to declining sales, the sedan still exists in the taxi market, especially in Kolkata. However, the icon might be in for a revival as the French automaker Peugeot has acquired the rights of the brand Ambassador from Hindustan Motors for Rs 80 crore. Peugeot Société Anonyme (PSA) is gearing up for its second innings in India as it first entered the country in the '90s. Back then the company had a collaboration with PAL (Premier Automobiles Limited). The Peugeot 309 was imported in the form of CKD units and was then assembled at the PAL's Kalyan plant. After running for a small tenure, PSA exited the Indian market in 1997. In 2011, PSA made an investment of Rs 4,000 crore at Sanand, Gujarat, with a plant spread across 584 acres with an initial annual production capacity of 1.70 lakh units. Last month, PSA confirmed that it will return to India through a joint venture with CK Birla Group by 2020. The partnership between PSA Group and CK Birla Group includes two joint-venture agreements. The first one is that PSA Group will hold a majority share in a joint-venture company that is being set up with Hindustan Motor Finance Corporation Limited (HMFCL), a subsidiary of CK Birla Group. This company will handle the assembly and distribution of PSA's passenger vehicles in India. The second agreement is that PSA Group and AVTEC Ltd. (another subsidiary of CK Birla Group) will enter a 50-50 joint venture to manufacture and supply powertrains. About the brand Ambassador deal, it is still not clear if PSA would bring in a new-generation version or different iterations of the sedan and even if it does, will it be manufactured at Hindustan Motors' Uttarpara factory. The French carmaker has already stated that the brands and the cars that it plans to bring to India have not been finalised yet. "We have executed an agreement with the PSA Group for the sale of the brand Ambassador, including trademarks. Ambassador has been an iconic brand and a surplus asset with us. We were looking for a suitable opportunity and found the right buyer in the PSA Group. We intend to use the proceeds from the sale in clearing dues of employees, lenders and other outstandings. 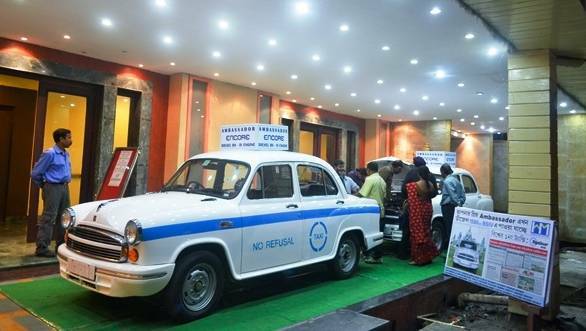 ", stated Hindustan Motor in an official statement.